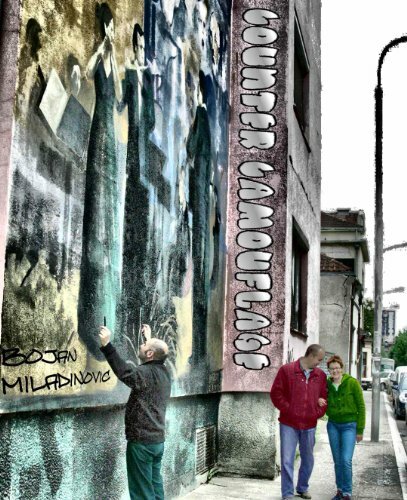 Today I have Bojan Miladinovic, author of Counter Camouflage, here to answer a few questions about the difficulties involved in translating a book into a different language. 1. What language was your book written in originally? Is it published in that language? misunderstanding, but soon I received an e-mail saying: Mr Miladinovic, since you’re not a famous – or infamous – person, you would have to pay the costs of publishing of your novel. I thought: if there’s something I should become famous for – let that be my novel. So I put the novel on my website and invited people to download it for free. That is how my novel was published. 2. Why did you decide to translate it to English? While I was promoting my first novel on the Internet, I was writing Counter Camouflage simultaneously. Although there are not stores in Serbia in which you can buy an e-book reader, the novel was very well accepted. That fact gave me hope that some publishing house might become interested in Counter Camouflage. Nevertheless, it went the same as with my first novel. I realized that, if I wanted my novels to reach the wider circles of readers, I would have to pay for their publishing. So I thought, if I should pay for something, that would better be for translation of the novel. 3. What challenges are there in translating a book? As Serbia is known for its import of literature, I thought that finding a translator would be a routine matter. I started searching for one, soon to realize that the publishers don’t hire educated translators, but self-taught persons who fight for bare existence, like all the other workers in Serbia do. I eliminated them, so I was left with the choice between professional literary translators who got used to large tips (which is the state’s fault), and professional translators to whom the literature isn’t exactly a first choice. Financial situation have made me entrust an educated person without previous experience in that field with the job of translating. The communication translator – writer was great. Since my knowledge of English is very scarce, I didn’t dare reading the novel and after formatting I published it on the Amazon. However, soon came the first negative comments about the translation. The lady translator started taking tranquilizers, and I had to read the novel and find the person who was going to fix errors. This time I chose a person who is not educated but is engaged in literary work and does not suffer from the disease called vanity. I believe that the new translator has removed the errors, and I’ve firmly promised to myself that I’m going to improve my English so that I can read the novels from the English speaking world. That way, I will be able to adapt my mindset in the process of creating the novel, thus making the future translator’s job much easier. Besides that, there are situations when only the writer can discover an error in the translation, because Serbian is a very difficult language and there is always the danger that the translator might misunderstand something and then translate it the wrong way. 4. Do you intend to translate future books? Absolutely. I am completely devoted to writing, and despite all the difficulties that follow me, I will be persistent. The third novel is in the creation process, and whether the third or the first one will be translated, will depend on several factors, with the sales of Counter Camouflage being the primary, because my first novel is a rather long one (160.000 words). It sounds like translating is a very difficult and danger filled undertaking. I commend you for trying, and committing to learn some English to make future translations easier. An astute reader will find one phrase in the interview that didn’t translate quite right in Bojan’s answers. But I think it sounds hilarious the way it is, and don’t want to change it at all because it had me giggling the whole time I was setting up the post. Can you find the phrase? After 37 years of observing and analyzing the world that surrounds him, Bojan started to convert his observations into novels. 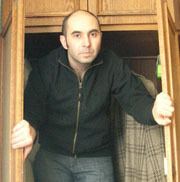 Bojan lives in Kraljevo, a small town in Central Serbia, where he observes, analyzes and writes. I think I found it and I laughed but I don't want to give it away. Great interview – did you post it on the Amazon?